I am currently using a combination of a Medtronic Minimed 523, Dexcom G5, and Loop to run my automated pancreas system. I use Nightscout, a Pebble Watch with and various apps on my iPhone 6s to monitor things. You can do this too. You do not need to wait and hope some company lauches one in 2018. 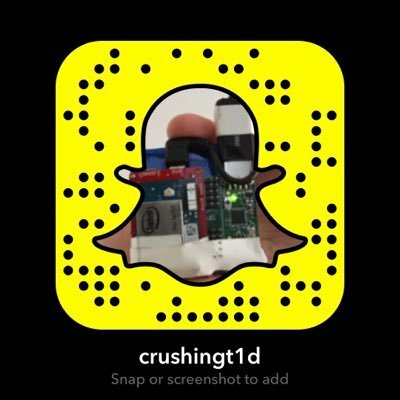 I tell my story daily via video on Snapchat (username is CrushingT1D). I place archives of those snaps on Youtube. For full transparency I publish a link to all of my live numbers right here. The happy Octopus is Github. That's where I keep all the code and instructions I use for my diabetes related projects. It's a great place to check if you want to see what I am working on!